Last week was just a little busy…. Monday: Doctor’s appointment for my three year old. School plans. Messy house. Ballerinas in my basement for an afternoon class. Valentine dinner party. Tuesday: MOPS (Mothers of Preschoolers) meeting. Ballet. Swim Team. Gym. Piano lessons. Wednesday:Homeschooling speaking engagement. I knew when I agreed to a morning away it would be after a MOPS day. While it went well, I felt overwhelmed with the mounting housework and guilty for speaking about something I should have been doing. Thursday: Co-op day. Six lunches and band instruments to pack, ballet for girls and swim team for my son. Two classes to teach. 20 essays to grade by next week. Gone from 11:00 until 6:30. Dinner out. Bed at 9:00. Too tired to think! Saturday:“Dinner for 8” at my house – a planned weekend by our church for couples to get acquainted. Sunday: Church. My turn to host small group. I am overwhelmed by day’s end and without a clue how I’ll pull off a Monday so exhausted and unprepared. In the middle of this crazy week, I was reminded that I committed to monthly review a product for Eternal Encouragement Magazine. This month’s feature, Encouraging Moments, is a weekly newsletter delivered via e-mail. Arriving the night before I was to share a “MOPS mentor” talk on marriage, the newsletter felt like a ball and chain. Exhausted and with my plate overflowing, I began formulating an “I’m- to- busy- to- do- this” note to the review coordinator. However, right before writing to decline, I thought I’d at least briefly check out the content. I’m so glad I did! I not only received a few moments of encouragement for myself, but inspiration to write my mentor moment as well. With a focus on marriage, the newsletter could not have been more timely for our Valentine MOPS meeting! I was delighted to find a thirty day prayer guide for my husband – so much so that I printed a copy for all my young mommy friends. That became my message – praying for and “undergirding” our husbands – the exact topic of the Chick Flick which is, by the way, my favorite part of the newsletter. Lorrie Flemm, the owner of Eternal Encouragement (formerly TEACH Magazine), produces these short, about 5- minute long videos, in which she speaks on topics ranging from marriage to homemaking to parenting. I’ll admit it. I delete most everything delivered to my inbox that doesn’t scream “urgent – read me!” I like books. I don’t like ads, links and twaddly time-wasters. Yet, I’ve enjoyed the two Eternal Moments e-zines that I’ve received. Free and full of helpful counsel, both were well worth the few minutes they took to read. You can receive Encouraging Moments by visiting www.homemakingwithteach.com. Look on the left sidebar where it says “subscribe to the E-zine,” sign up, and then anticipate a short and sweet dose of encouragement to be delivered every Thursday. My week was beyond busy but I made it through and Eternal Moments helped. I used Lorrie’s rhyme (another chick flick) about teaching complete obedience. I cracked down on whining. I’ve prayed for my husband, and tried to take my thoughts captive. Eternal Moments addressed all these things and even inspired my own “mentor moment!” for my MOPS group. I’d say this little newsletter helped me survive my crazy calendar. As I thought about that fact, I just could not write that “I’m-too-busy” letter! Hey, tomorrow is Thursday! I wonder what the next Encouraging Moment will bring! One thing is certain… “ball and chain” does not come to mind. Eternal Moments is more like a warm cup of tea – sweet, soothing and satisfying! I am reviewing Encouraging Moments as an official member of The Gabby Moms blogging program for Eternal Encouragement magazine. I did not receive compensation for this post and all opinions are solely my own. I just finished an excellent little book – Loving the Little Years – Motherhood in the Trenches by Rachel Jankovic. Rachel is “in the trenches” with five children five years old and under. She writes from the perspective of a mommy with her sleeves rolled up and working hard – not from one kicked back after raising her children and reminiscing about the “good old days!” Having four girls and a son including a set of twins, she and I share a heart for mothering as well as very similar family dynamics. As she described many Jankovic scenarios, I was reminded of many Jobelette “in the trenches” days about a decade ago! I call such bedroom checks “eternal time,” a term borrowed from a dear friend of mine. In taking time away from dinner prep, math homework or laundry, we’re focusing on the eternal living souls of our precious children. We are tending to our little lambs, making sure their hearts are ok. Eternal time can be terribly inconvenient – especially when there are lots of lambs to tend to and they are all hungry. Rachel makes the point that, if you are blessed to be the mother of many young ones, you must make special effort to see each child as an individual. Schedules and charts are fine and needed, but they can give a busy mother a false sense of security or success. Children quickly pick up that peace in the home matters more than peace in their spirit when the schedule is too highly valued. One observation that I have, as a mother of older children as well as a couple of littles, is that the older they are, the more eternal time they need. Teens and tweens don’t, by any means, have it “all figured out.” They also don’t go to bed at 8:00 allowing you to complete unfinished tasks. Thus, as the littles age, you get to sleep through the night which is wonderful, but you often have midnight counseling sessions 🙂 Mothering gets easier in some ways and harder in others. I could not agree more. And that organized attitude starts with knowing where to find our peace! Other topics you’ll read about in this little book are child training, the “bulk” effect (which comes with having many young ones at once), the physical scars of motherhood, little girl emotions, being “overwhelmed,” “me time,” and more! In reading it, I’ve been reminded of many “mothering in the trenches” moments, and I plan on sharing a few of them in the weeks to come. I had an interesting conversation with a friend this evening at Panera about the false reality that blogging and social media creates. I’m afraid I’m guilty of contributing to this. 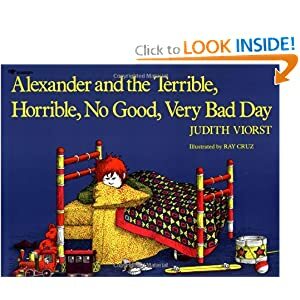 I don’t want to write about “Tina and the terrible, horrible, no good, very bad day.” When I write, it is my goal to encourage others. My mother taught me long ago that whining is not allowed. Thus, I tend to write cheerfully or not at all. Yet, just in case anyone is wondering, my house is a mess, my children often fuss, I sometimes spend the whole day in my pajamas and occasionally I’m just plain old grumpy and have to apologize to my family for sporting a ‘tude. I’m selfish with my time. I’m impatient. My three year old watches way too many videos. I haven’t exercised in 8 days. There. Feel better? Seriously, I think that blogging, facebook, twitter (which I don’t use) and whatever other social media exists can create a false reality and this can be damaging – especially to our young people. Those of us who grew up without knowing everyone’s business also know that just as we untag ugly pictures of ourselves, everyone else does too. We know our friends’ two year olds throw fits once in a while. No one’s life is perfect. However, our teens don’t realize this. They see the parties they missed. They see “wall to wall” conversations they weren’t invited to join. They wonder if they are the only ones having to work on a snow day when, according to status updates, everyone else is on the slopes. They spend ridiculous amounts of time looking at their friends’ smiley albums and videos. They wonder why no one “likes” what they say or do. They feel left out, alone and maybe even depressed. Compared to the very happy life of their facebook and bloggy friends, their life stinks. 1. Encourage them to be sensitive with their own postings. My girls have seen many party pictures they wish they’d attended. Thus, when one of my girls took fun videos at her birthday, I encouraged her not to post the video for all her friends to see. I reminded her that not all of her friends were invited. I had to limit the guests to about 8 so I could fit everyone in my van. “How would you feel if _____ saw this?” What started off as a fun way to relive a silly moment could easily hurt a friend. Needless to say, the video wasn’t posted publicly. Teaching children to think about others is important. Of course, we can’t control what others post but in talking about such situations, our teens can learn that usually, if they feel left out, it’s not the intent of their “friends” for them to feel that way. 2. Help them to invest in real life friendships. Being the social director of teens and tweens is hard, but I think it is very, very important. They are driven to want to be around their peers. When my children were little, I did not drive them around to play dates often. I had 5 children under the age of 7 and couldn’t handle more than that. They played with one another. They still do. However, now they crave friendships outside of the family and I believe that is because they are hard-wired that way. They won’t be under my roof forever. Investing in relationships is healthy. Learning to be a loyal friend is important. I am so thankful that all my children have meaningful, deep friendships. They don’t need 700 facebook friends. What they need are a few (or even one!) dear real life friends whom they really know. Real friends bring joy! 3. Limit their time on facebook, blogs, etc. Our kids need to be doing other things. They need to be living – not just watching others live. 4. Help them stay active. Everyone needs to get their wiggles out. Even teens. (Even moms, I think). Exercise produces endorphins which really do make you happy – much more so than looking at other peoples’ vacation pictures. 5. Talk, talk, talk to them about everything! I’ve asked my girls many, many times details about their friends’ posts. My girls are often shocked that I notice issues and bring them to their attention. My point is that I want my children to see that public postings are viewed by everyone on their friends’ list – even old people like their mother. It’s my goal for them to evaluate everything they say and learn not to take everything they read at face value. 6. Direct them to daily count their blessings. Ann Voskamp at A Holy Experience has taught me so much about gratitude. This discipline is life changing. I hope my children see me investing WAY more in real life friendships than any social media. I pray they see me active – working in my home and investing in REALITY! They are my reality. My husband is my reality. My church and my friends and extended family are my reality. I pray they would see me use social media as a way to minister; to see needs and meet them… not to gossip or value someone else’s world more than my own! How about you? Have you been affected by this “false reality” world of social media? I have, on occasion, and when I am I know it’s time to take a break from it and refocus! Have your children experienced this? What have you done to help them with reality checks? I don’t post much about raising teens. The reason? I don’t know much. I’m just beginning this journey. Maybe once Esther is a teen, I’ll have learned something. For now, Daniel and I are praying for wisdom… a lot. Don’t get me wrong. I love, love, love my teens and I enjoy them! They are hilarious. It’s really fun to have older children who make you laugh because they are truly witty. It beats the same old knock-knock jokes that come with typical eight- year- old humor. They ask great questions and are growing in the Lord. They are truly a joy! teens communicate. Yet, unlike the phone, it’s accessible always. I never would have called a friend at 1 am growing up and such is quite common in the texting world. Texting can be distracting. It can be dangerous. And it must be controlled or it can be controlling. So… 2 1/2 years into parenting teens I’ve learned a few things about texting. Unfortunately, my husband and I have had to “go backwards.” This basically means that we, unknowingly or naively, allowed some things and had to go back and make rules that ideally should have been in place from the beginning of phone ownership. Because I’ve noticed that “What do you do about texting” is a very common conversation of teen moms, I’m going to share a few texting rules that we’ve “gone backwards” and implemented. Know that I’m not saying all families should do this. It’s just what’s working for us for now. As our children mature, the rules may change – some of them anyway. 1. All phones, ipod touches and computers stay in the den while we are home. This is the biggest change. This rule came about because we realized our teens were very distracted by their gadgets at night. They simply weren’t getting enough sleep. Also, our older children do their school in their rooms. Again, the phones, computers, etc were keeping them from completing their work in a timely manner. Now, because I hang out all day in the den and kitchen, which is beside the docking station, I can keep tabs on who is on task. Teens are having to learn to use old fashioned dictionaries and calculators instead of iTouch/iPhone apps during school time. 2. We (the parents) have all passwords and reserve the right to spot check conversations anytime we want. We also look online at the in/out activity. Too much texting (like an hour of back and forth) is checked out. 3. Our daughters may not text boys. They may respond if a boy (that we know) texts them, but again… no hour long texting conversations. If they need to text a friend who is a guy, they need to ask us about it first. 4. No phones are allowed at the dinner table. No texting is allowed during family time. Our teens must always put their phones away when we have guests. 5. Our children may not put in headphones without permission. I’ve spent too much time calling and calling and calling them to discover that they can’t hear me. This isn’t exactly a texting rule, but it’s a phone/ipod thing. 6. If texting and phone rules are broken, the privilege to have a phone disappears.